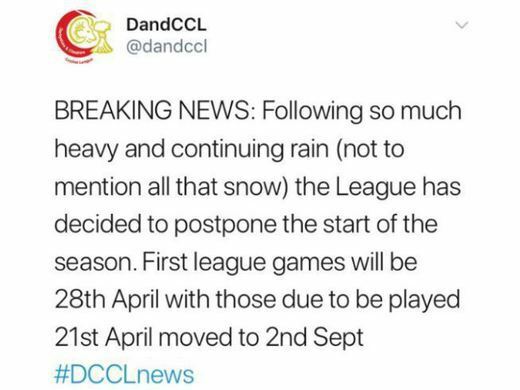 Last night the league made the decision to postpone the start of the season. The first league game will now be on the 28th April, both teams will face Offerton with the 1st team at home. The games due to be played on the 21st April have been moved to 2nd September.